Aloha Bay Himalayan Salt Tea Light Holder. 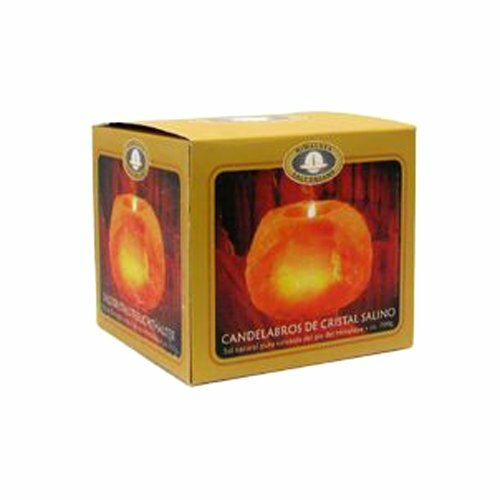 Description: Aloha Bay Salt Crystal Lamps are made from salt crystal rocks formed by nature hundreds of millions of years ago and mined over 500 yards underground from the foothills of the Himalayas. When mining the salt crystals, explosives are strictly prohibited to preserve the structures of the crystals. Lamps are carefully crafted by hand to retain the unique, beautiful and natural shape of the rock. The result is a rare crystal with such beautiful colors ranging from off-white to apricot and warm pink. As the lit bulb or a tea light warms up the lamp, healthful negative ions lift off from the surface and help to cleanse and improve the quality and freshness of the air you breathe. Disclaimer: These statements have not been evaluated by the FDA. These products are not intended to diagnose, treat, cure, or prevent any disease. Hold your tea lights with a decorative salt holder. Refreshes air and helps neutralize the Electro Magnetic Fields generated by your computer. Therapeutic benefits for health and well being. If you have any questions about this product by Himalayan Salt Solution, contact us by completing and submitting the form below. If you are looking for a specif part number, please include it with your message.